The program aims to teach youth empowerment, including the importance of identity. 'If we don't know our identity and who we are then someone else will give an identity for us and oftentimes that identity is based on lies,' says the workshop's instructor. An Indigenous man from New Zealand is bringing his traditional warrior culture to Canada's North to empower youth in Kangiqsujuaq, Que. Ray Totorewa — who is Maori (an Indigenous group in New Zealand) — is travelling from Tauranga, New Zealand, on his way to the community of about 600 people in Northern Quebec to facilitate a youth empowerment workshop. This is the fourth time Totorewa is visiting Kangiqsujuaq. The first time he visited was with a Polynesian cultural group called Island Breeze in 2010. 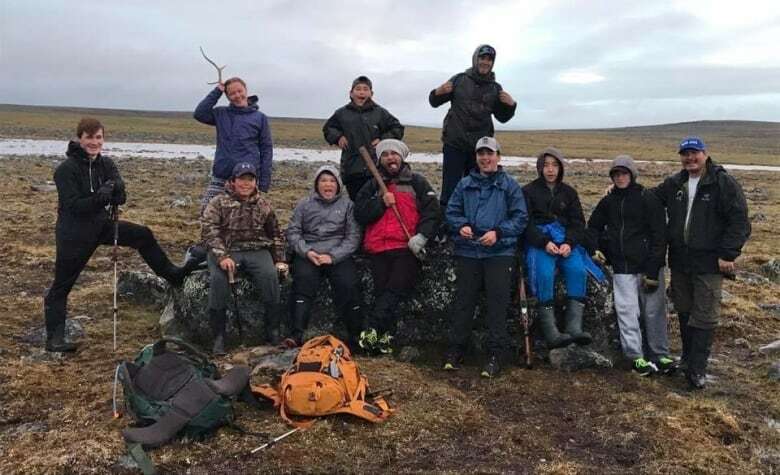 Totorewa will arrive in Kangiqsujuaq along with another Maori man, Ereura Kawe on Friday to facilitate the youth workshop where 20 youth will travel to Pingualuit National Park. "We come from a warrior culture here in New Zealand and in my teachings and conversations with youth, I speak about what it's like to be a warrior... standing up for what is right: fighting for your family and fighting for the health of the community." Totorewa's teaching revolves around the importance of identity. "If we don't know our identity and who we are then someone else will give an identity for us and oftentimes that identity is based on lies." The words that go with the haka warrior dance will be performed in Inuktitut. 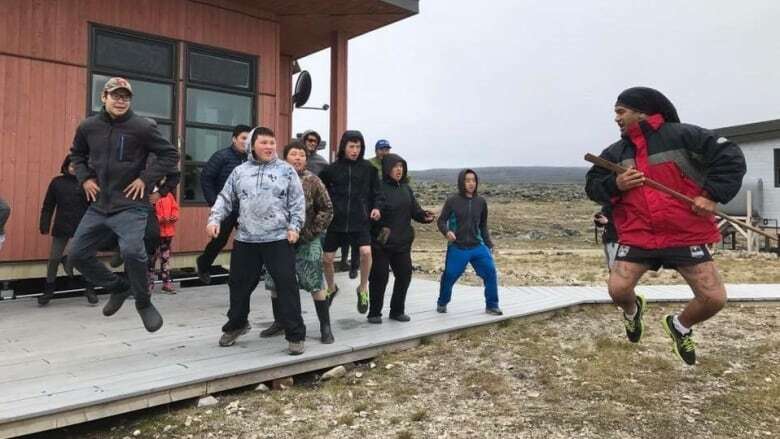 Teaching Kangiqsujuaq youth the dance is aimed at empowering them and helping them realize they can combat the ills of society that destroy families and communities, noted Totorewa. Mary Pilurtuut coordinates this youth workshop and is the director of the Pingualuit National Park. 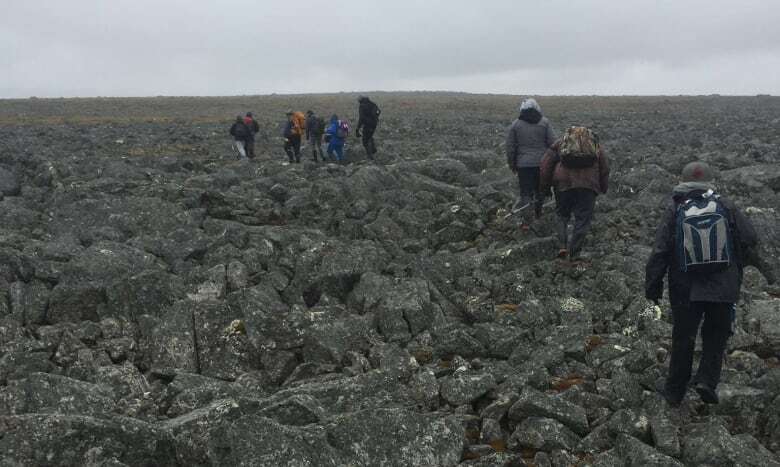 She said the funding to bring Totorewa and Ereura to Kangiqsujuaq is received from the Ungaluk Safer Communities program, Brighter Futures and the Kativik Regional Government. "His teaching is based on standing up for yourself, your family, your community and your nation — no matter what challenges you face," said Pilurtuut. Pilurtuut noted that the youth really liked the workshop last year and were very interested in the haka training, saying that some were amused because they had never seen it before. Pilurtuut said that this year's program will be like last year where the youth will go fishing, canoeing, kayaking, swimming, hunting and hiking to the nearby crater.